Just like getting into shape requires creative methods including eating healthy practices, using fitness apps, or getting a trainer, we can take advantage of many creative methods to learn a new language. Conversation exchanges can be great for someone who wants to practice speaking their language. You find someone online around the world who wants to learn a language that you speak, and voila! For example, if you want to learn spanish and you know how to speak English, you’ll need to find someone who wants to learn English and knows how to speak Spanish. It’s not impossible, but it does take self-discipline, patience, and more importantly, time. Immersion programs, if you can afford it, can be a great way to learn a language. Depending on the program, you can be set up with a family host that only speaks your target language, undergo classes, and live in the foreign country that speaks your target language. Research shows that learning the first 1,000 of the most common words in a language allows you to understand 90% of the oral language. This is the ultimate language hack that anyone can start implementing into their studies. Take advantage of free language challenges that will send you 10 of the most common words in your target language, this will take you only 5 minutes a day to learn. If you love meeting people and learning languages, this is an easy sell. Language meetups happen all around the world every week, and you can gather in one room to practice your target language. Fair warning: most language meetups are more social than language practicing opportunities. Either way, it’s a great way to spend an evening with like-minded people! If time is of essence for you, private tutoring online can often be the best investment of your money and time. You can gain 1-on-1 access to a professional native speaking teacher. You can learn in the comforts of your home, and you can learn faster with a personalized lesson plan. Choosing the right language teacher who matches your personality and interests is a key factor, as the process of learning a language with someone is more relationship-based than anything else. There’s a lot of creative ways to set up your own home for language immersion. Keep in mind, this isn’t the most optimal way to learn a language, it should be used as a complementary activity to your other learning efforts. 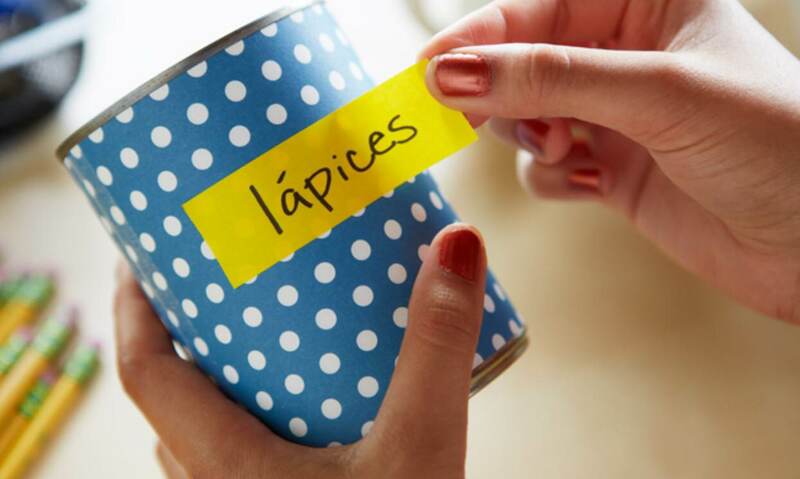 One creative way is to label items in your house in your target language. You only need to set this up once, and you can subconsciously retain new vocabulary without much effort as you walk around the house. What’s better than chilling out and watching your favorite movie, while learning a new language? This is why watching movies or TV shows online, using your target language as the audio is a great way to learn a language. The tricky part is finding movies that provide audio or subtitles in your desired language.